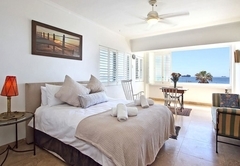 Dolphin Bay Two is a property providing self catering in Mouille Point for up to 2 guests visiting the Atlantic Seaboard region. 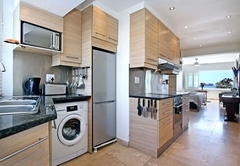 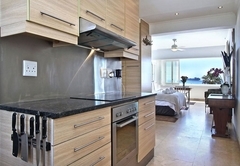 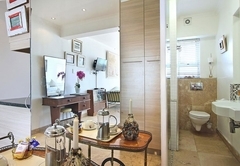 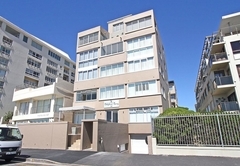 Dolphin Bay Two is a studio apartment in Mouille Point. 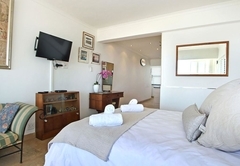 When staying here you are within walking distance from the shops and restaurant in Sea Point and are close to an array of activities to keep you entertained. 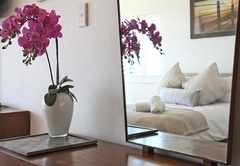 The airport is roughly 30 minutes away and you are close to all major transport routes. 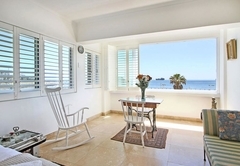 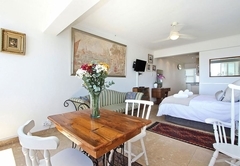 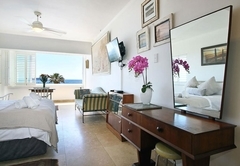 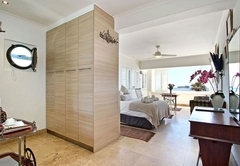 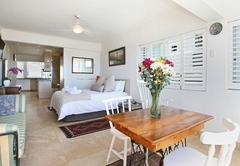 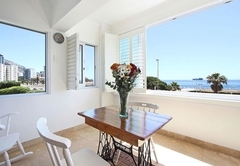 Dolphin Bay Two studio apartment offers comfortable accommodation in Cape Town for two guests in a double bed and has an open plan living and sleeping area. 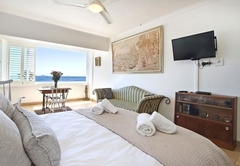 The lounge has a couch, a TV and DStv. 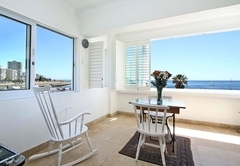 There is a dining table and two chairs situated alongside the large windows. 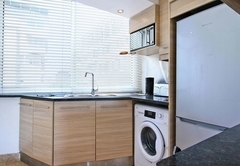 The kitchen is fully equipped with everything you need including a stove / oven, fridge / freezer, microwave, kettle, crockery and cutlery. 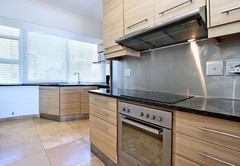 There is also another table with two chairs where you can sit and sip on wine while cooking. 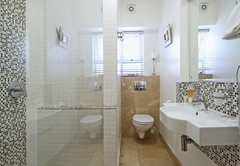 The bathroom has a shower and linen and towels are provided. 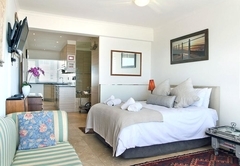 Newly renovated furnished self-catering studio apartment (sleeps 2) in Mouille Point, situated in Beach Road. 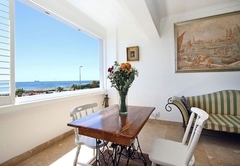 on the sea front with unspoiled sea views. 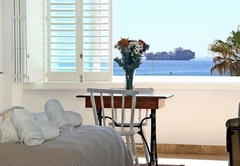 Response timeDolphin Bay Two typically responds to requests in 5-10 minutes.